How can Irish Water drive its brand back on course? 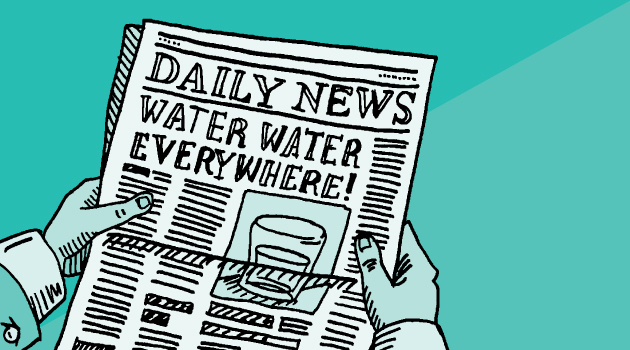 Since its inception, Irish Water has been dominating headlines for all the wrong reasons. To ensure a successful long-term future, Irish Water needs to engage people’s heads and hearts. But how? By refocusing on their brand and using it as a platform through which all communications, actions, behaviours etc. are funneled, it will take time, but Irish Water can drive its brand back on course. No one expects brands to be perfect. Acknowledge and admit mistakes and you will be judged far more favourably. The way a brand deals with its issues is far more important than the issues themselves. Start behaving like a consumer brand and not like a government body. A purpose is more compelling than a product. Start to communicate what purpose they have in a consumer friendly way, demonstrating the need to repair and conserve. Build awareness around the serious issue of water and the importance of planning for the future. We may feel we have too much of it coming from the heavens above, but we are lucky to have water. Stop being invisible and start being valuable. Your purpose should be about maximisng value for the customer. Engage in a two-way dialogue with customers. Co-create a system that everyone buys in to and believes in, and therefore feels a sense of stewardship over. Demonstrate positive actions on the impact a state-of-the-art water system will have on the country both now and into the future, across all touch points. Make the most of each and every opportunity to connect and share their purpose. Currently 3rd parties, driving white vans that are apologetically branded working with Irish Water, are carrying out the installation of water meters. These are great platforms to communicate the positive role of what they do and why they exist. Initiate ‘random acts of kindness’ throughout the estates where they have caused issues. Too many brands prioritise claims over actions. Irish Water need to engage and involve people, not interrupt them. Consider the Irish people as part of the brand, not as ‘consumers’. In summary, Irish Water needs to be genuine, people-centric and showcase actionable cause. Only then can it start to regain trust and move forward.